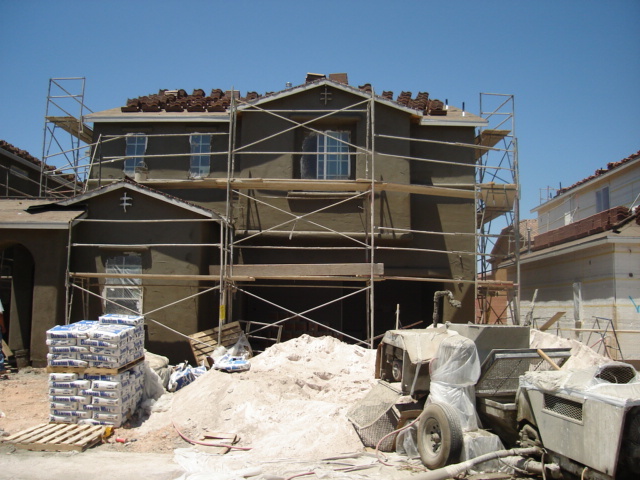 Typical Stucco Installation. 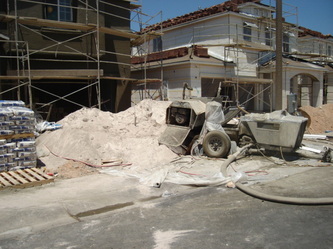 Click on the pictures to view larger images and captions. 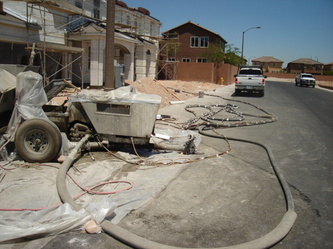 Most of the homes in the Las Vegas area have stucco exterior walls. 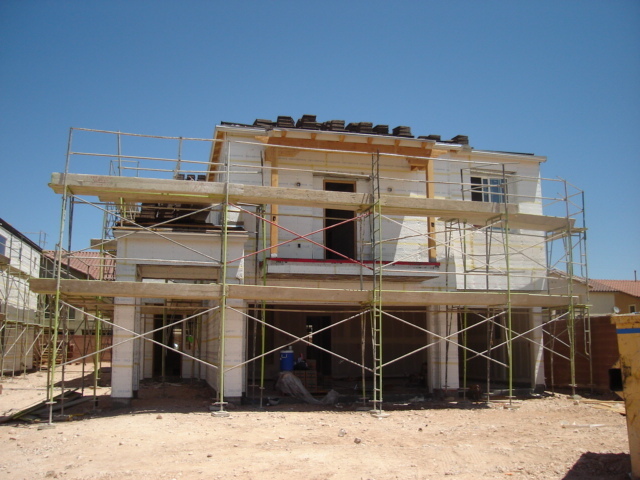 There are several different ways to stucco the walls. 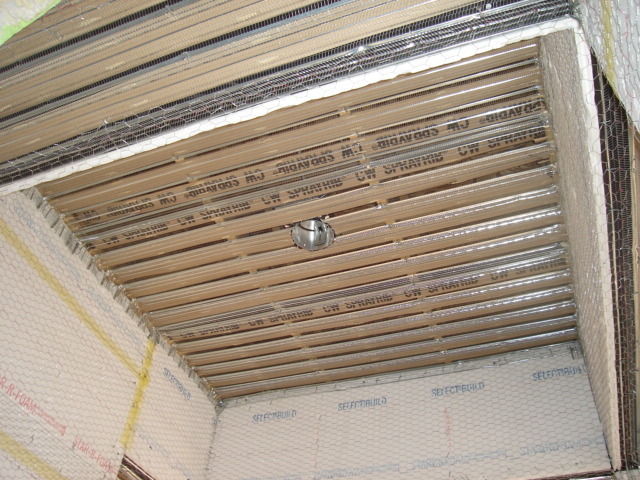 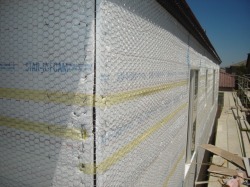 The most common is to first apply a weather barrier (most common is black paper) over the exterior framing of the home. 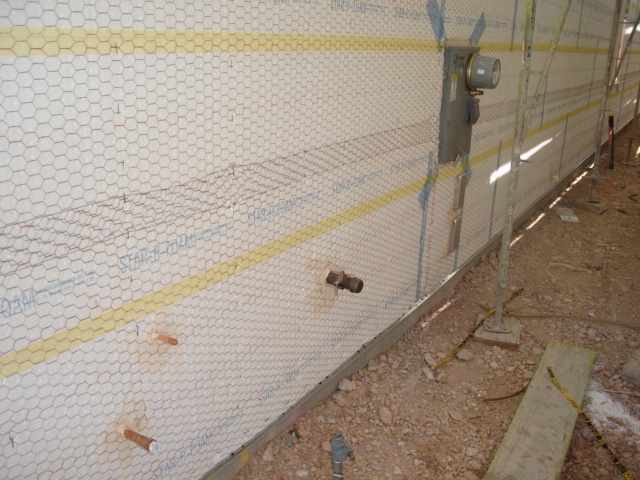 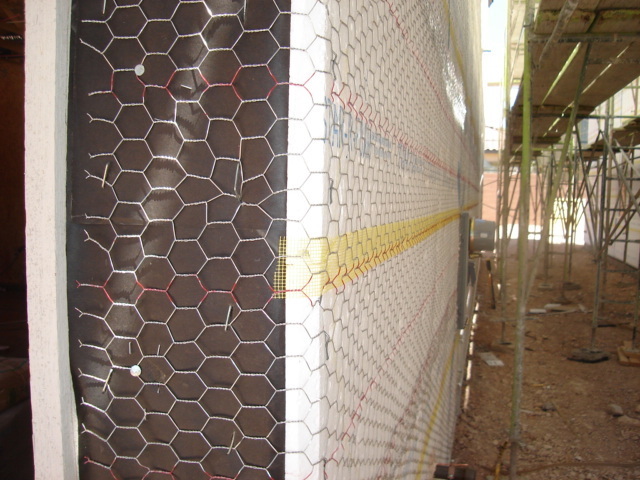 Next styrofoam panels are installed over the weather barrier and covered with chicken wire. 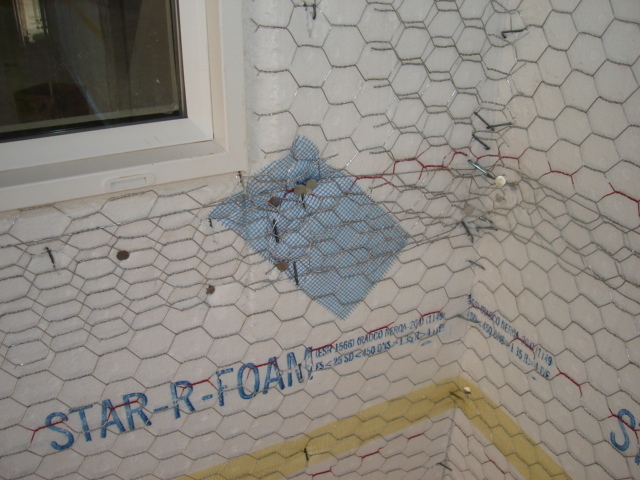 Once the building inspector approves the installation, a coat of stucco is applied over the chicken wire and foam. This first layer is called the the "scratch coat" which is typically about a 1/4 inch thick. 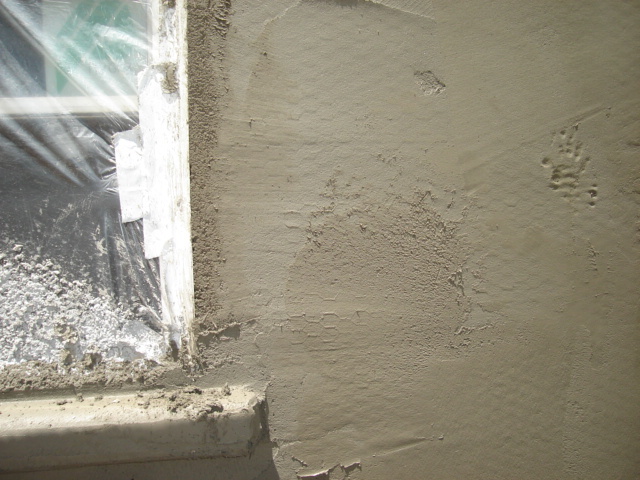 While still wet, this coat is scratched using a trowel or some type of serrated blade. 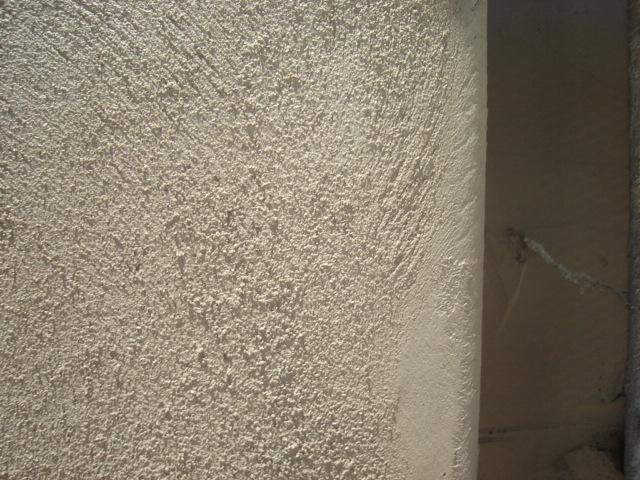 The creation of scratches in the surface helps the finish coat of stucco to adhere to the scratch coat properly. 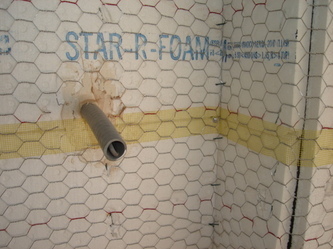 Then the scratch coat is allowed to harden. 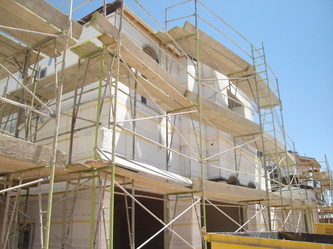 The walls are usually misted with water, periodically during this time, in order to keep the stucco face moist until the next layer is added. 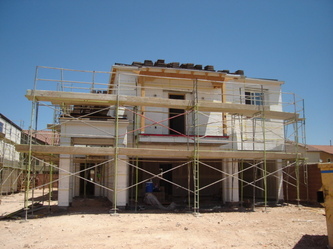 Once this curing period is over, the finishing coat of stucco is then applied over the scratch coat. 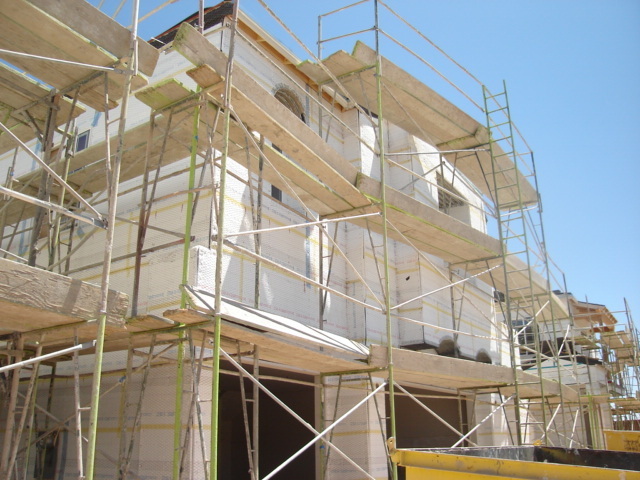 The finishing coat is at least 1/8th of an inch thick and can be up to 1/4 of an inch, but no more, or there is a risk of cracking. 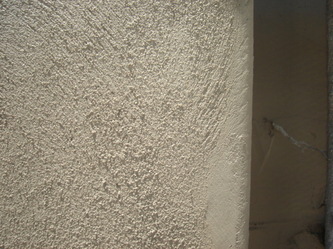 After fully curing, the walls are then painted the desired color.